At Okda Consultancy based in Hyderabad, we are well equipped to handle all the Payroll Management related responsibilities of different companies. From ensuring that the payroll database is up to date, to making sure that the information being entered is accurate (e.g. attendance and timing related information, etc. ), to ensuring that the tax deductions & other variable data is effectively managed. 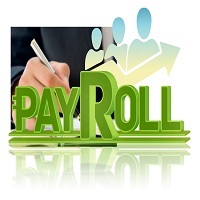 We have expertise in all aspects of Payroll Management. We offer prompt and flawless services to all clients, whether big multi-nationals or small enterprises.